Stray is a Northern New Mexico based visual artist. He focuses on spray paint work and extremely complex and detailed ink drawings. His work displays inspiration from a broad variety of sources, including ancient calligraphy, medical illustration, natural geometry and contemporary architecture. 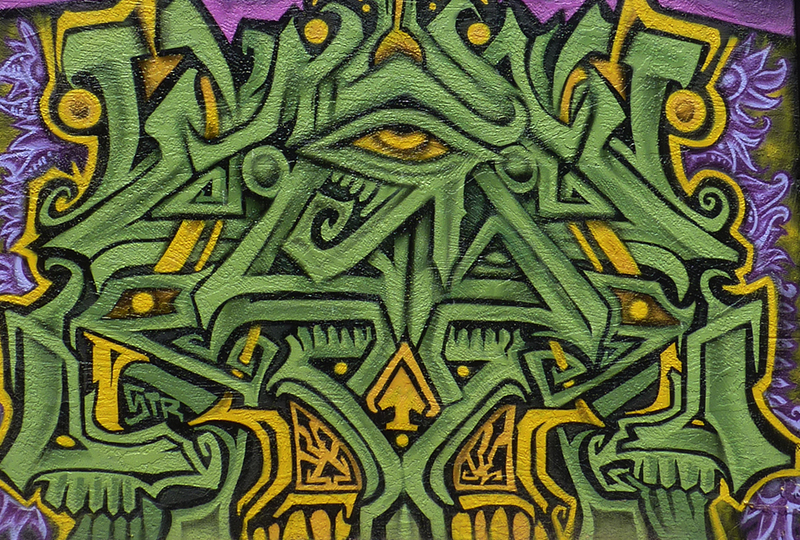 Many pieces form a blend of flowing organic forms and psychedelic patterns. Stray has completed commissioned murals for restaurants, private homes, a local theater and the city government.